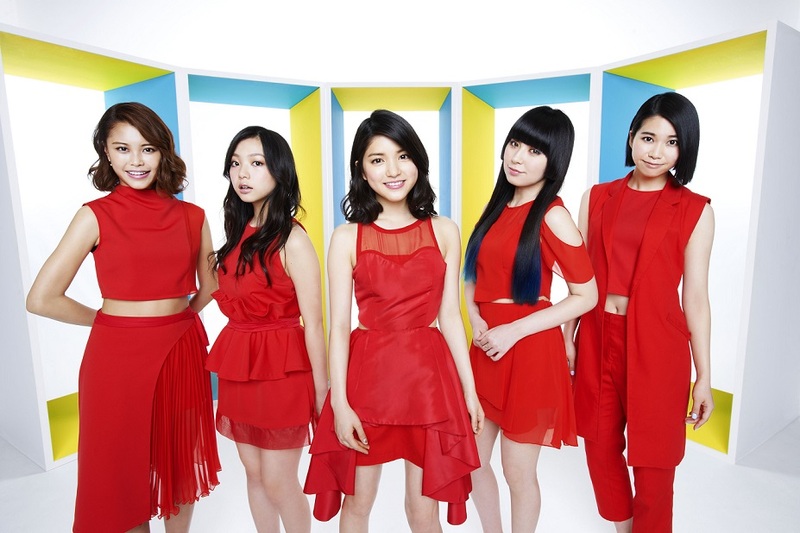 A girls group made up of 5 members, who are Uki Satake, Sayaka Nishiwaki, Kanae Yoshii, Umika Kawashima, and Hirona Murata. They performed solo concert at Hibiya Outdoor Music Hall in summer of 2012, followed by live house tour in 5 major cities. They also successfully finished the solo concert at Nakano Sunplaza Hall this March. As for media appearance, they’re showing up as actress for TV drama “Hao Hao! Jiang Shi Girl –a record of military history on TV Tokyo-“, which is on-aired through BS Japan at 2pm every Saturday since October 2012. The theme song, “Iiaru! Jiang Shi-feat. Hao Hao! Jiang Shi Girl” for the mentioned program is also performed by 9 nine. They released “Colorful”, the 1st single in 2013. The song is a main theme for the movie “Star Driver THE MOVIE”, released nationwide. New album “CUE” was released this March.